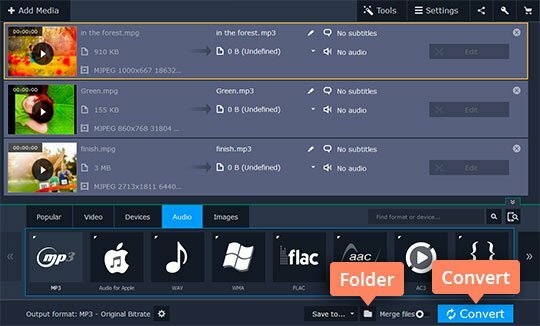 Looking for an MPEG-to-MP3 converter? MP3 is one of the most popular audio formats in the world thanks to its high efficiency. You would be hard pressed to find a smartphone or a media player that does not support MP3. So, if you want to extract soundtracks from your favorite clips and movies to enjoy them on your portable player, MP3 is the best choice. 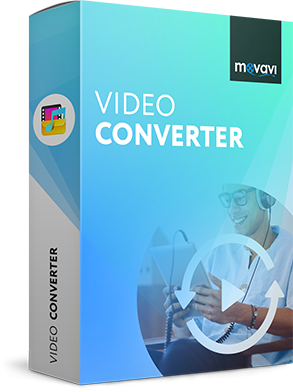 With Movavi Video Converter for Windows and Mac you can easily convert any video to MP3. 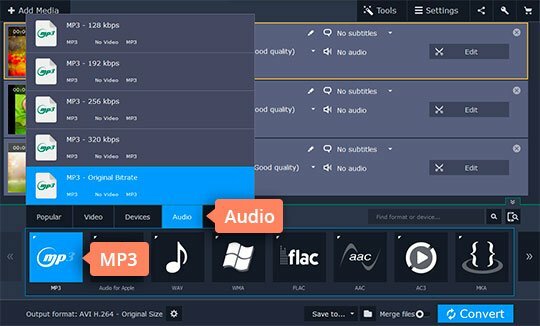 This software program allows you to extract audio from MPEG, AVI, FLV, MP4, and other video formats. 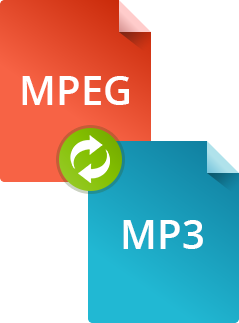 Download the necessary version of the program and learn how to convert MPEG to MP3 in just a few clicks. 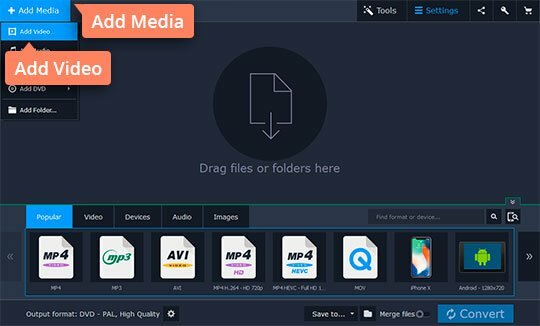 You can download Movavi Video Converter from our website and try it for free. Run the downloaded file and follow the setup instructions. Use the Add Media button in the upper left corner of the program window and then Add Video to add the video files you want to convert to MP3. Click the Audio tab and open the MP3 category. You can now select from a range of presets with different bitrate values. A higher bitrate generally means higher quality, but remember that high bitrate files may also take up significantly more disk space. By default, converted files are saved to the Movavi Library folder. You can change the output folder by clicking the Folder icon next to the Save to list. After all the settings are specified, click Convert and wait while the files are converted. After the conversion is complete, the folder containing the converted MP3 files will open automatically. Now you can upload the music of your choice to your cell phone or media player.